This occurs during the feeding time of your rottweiler, if he shows his teeth, growls or snaps his jaws when you are approaching him, then your dog is suffering from food aggression. 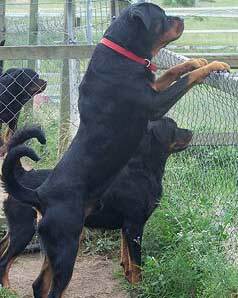 A rottweiler is said to be territorially aggressive if he becomes aggressive when visitors come by your home. 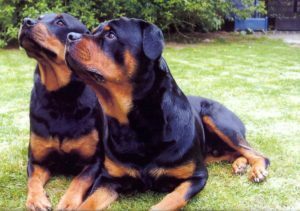 If your dog becomes aggressive by seeing another dog while you take him for a walk, then your rottweiler is supposed to suffer from protective aggressive behaviour. Due to lack of socialisation, many rottweilers tend to get scared, which later on results in aggression due to anxiety. 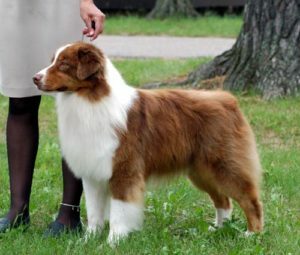 When your dog is stressed out, it is recommended not to pressurise him. Do not approach your dog when he is growling at you. 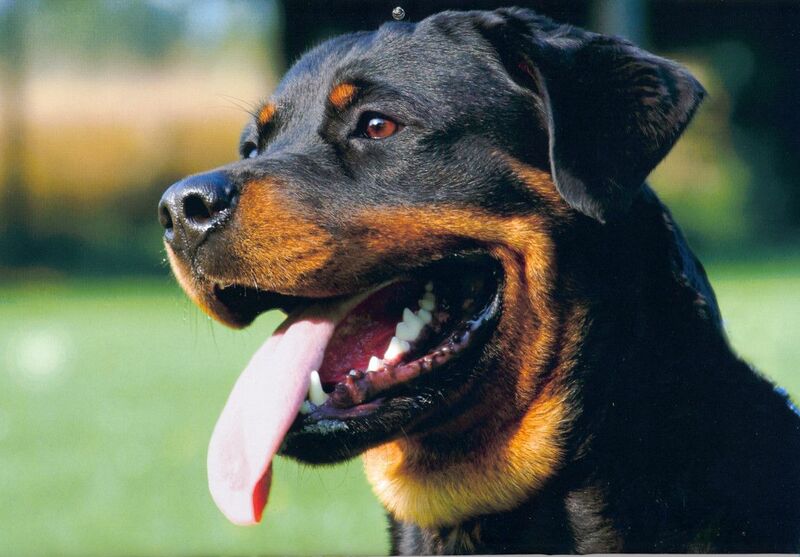 It is advisable that you respect your rottweiler’s wish and give him his own space to handle his fear. 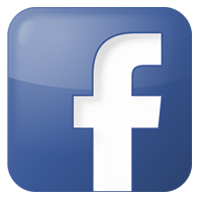 If your dog is showing aggression, then shouting, hitting or yelling will not help to solve the situation. This might show a reverse action, thus making the situation worse. 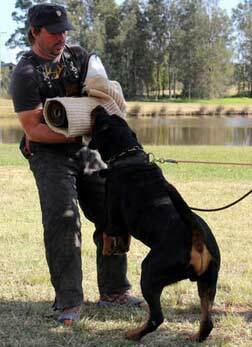 It is recommended to stop playing games that enhance aggression like tug of war with your Rottie, if he is already showing sign of aggression. Rather involve your dog in playing the fetch game, this will shift his focus and may act as a cure for his aggressive behaviour. 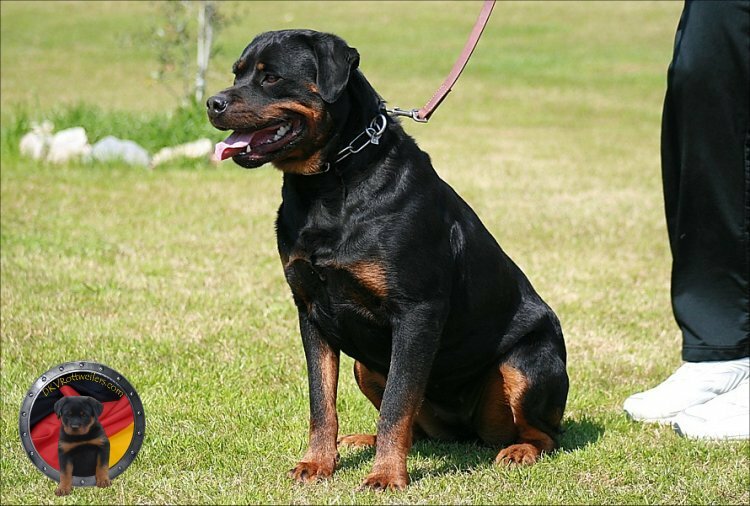 When you own a rottweiler it is important to remember that together with care you should also try and keep calmness as well as patience so that your dog becomes obedient and is able to fight his fears that result in aggression. 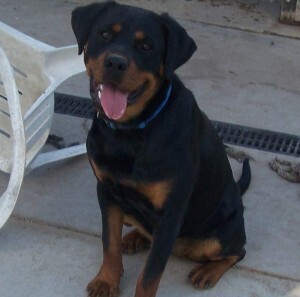 Coalfire Rottweilers is a well-known rottweiler breeder in Oakdale. 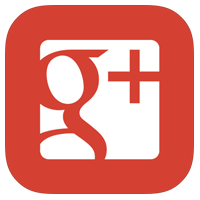 So, relating any issues with your rottweiler you can simply contact us for assistance. Diversion is often the best therapy.